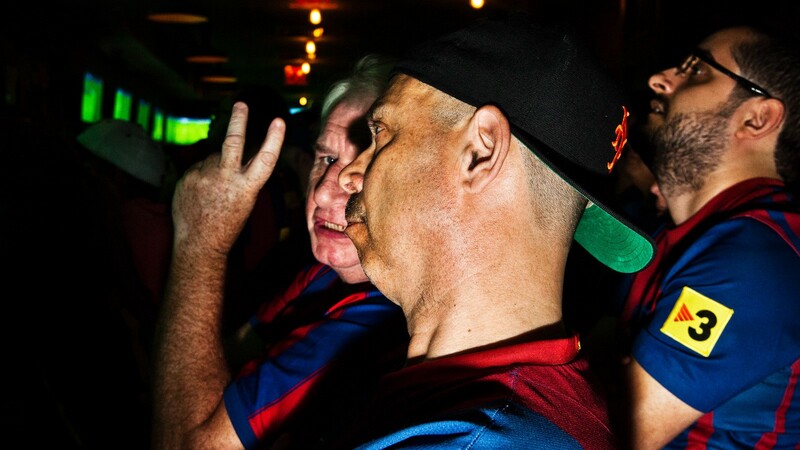 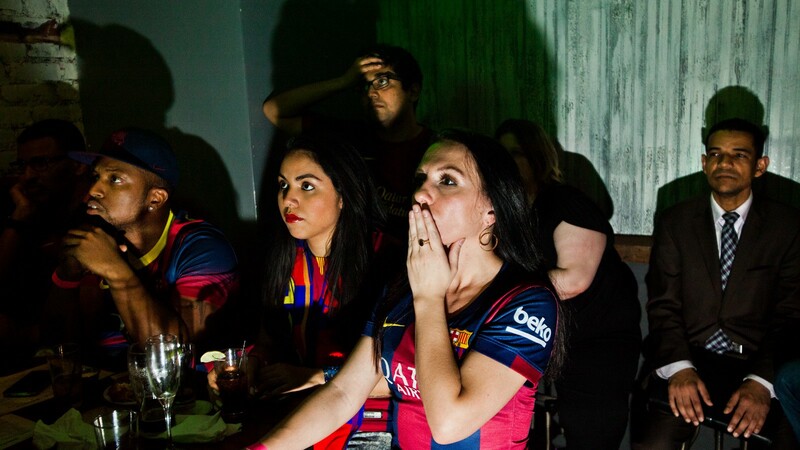 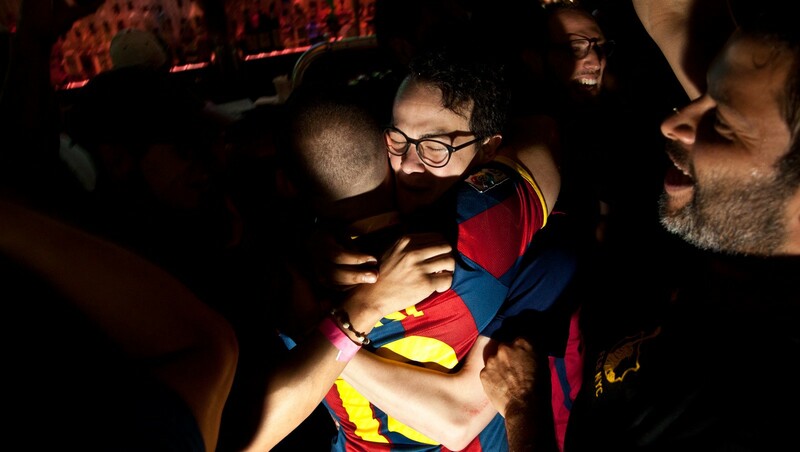 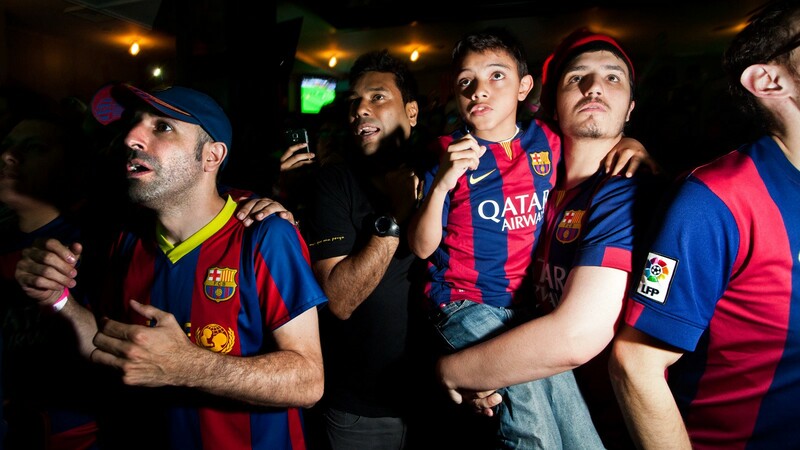 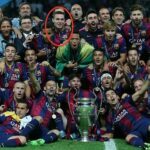 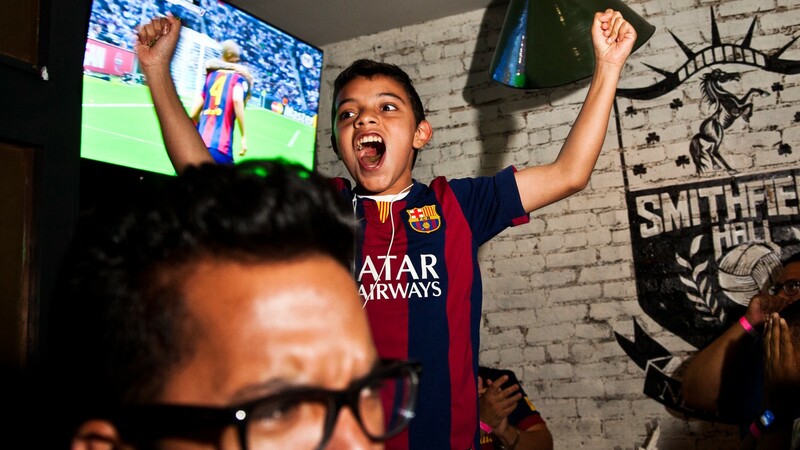 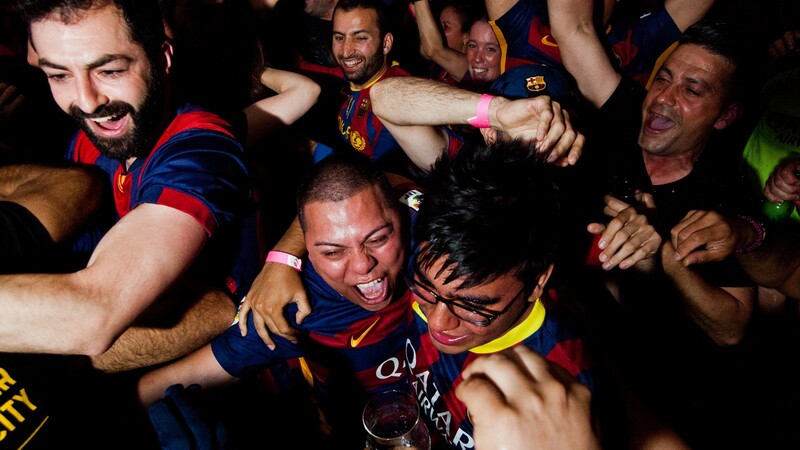 On Saturday, members of Penya FC Barcelona NYC watched their team triumph in the Champion’s League final over Juventus. 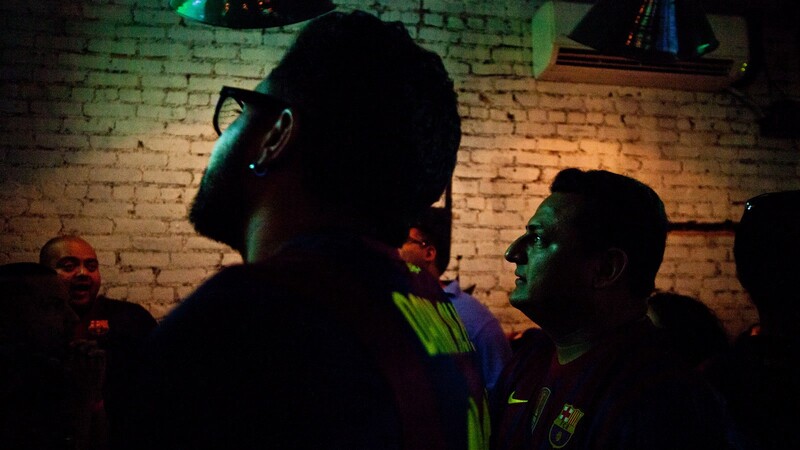 They gathered at Smithfield Hall in New York, most of them wearing Barça’s classic strip. 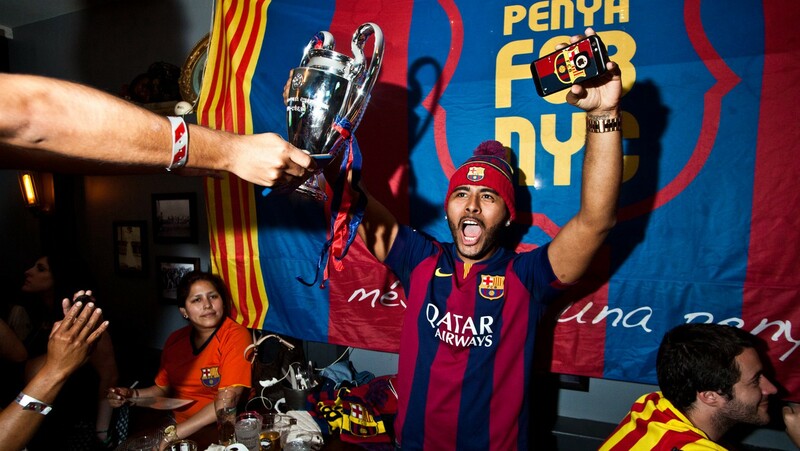 One fan hugged her Messi doll — which is slightly smaller than the original — while others clutched the ubiquitous replica cup. 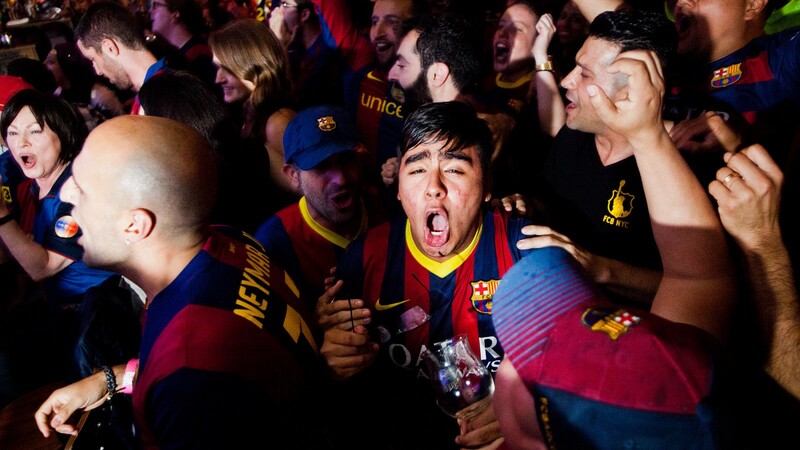 Photographer Konstantin Sergeyev captured the agony of the wait and the euphoria of the win as their team became the champion of Europe for the fifth time.